Biotechnology for Beginners, Second Edition presents the latest information on biotechnology, the applied science of using living organisms and their by-products for commercial development that has grown and evolved to such an extent over the past few years that increasing numbers of professionals work in areas that are directly impacted by the science. 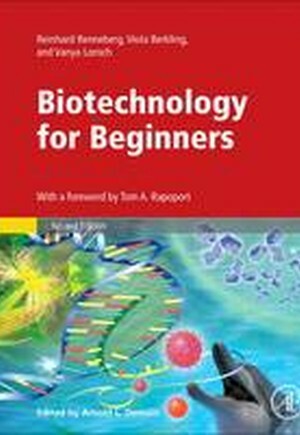 For the first time, this book offers an exciting and colorful overview of biotechnology for professionals and students in a wide array of the life sciences, including genetics, immunology, biochemistry, agronomy, and animal science. This book also appeals to the lay reader without a scientific background who is interested in an entertaining and informative introduction to the key aspects of biotechnology. Authors Renneberg and Demain discuss the opportunities and risks of individual technologies and provide historical data in easy-to-reference boxes, highlighting key topics. The book covers all major aspects of the field, from food biotechnology to enzymes, genetic engineering, viruses, antibodies, and vaccines, to environmental biotechnology, transgenic animals, analytical biotechnology, and the human genome.